Of all food... why mushroom? Well, one simple reason is... LOVE is truly EVERYWHERE. 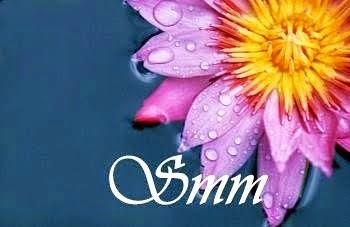 IF only nurtured properly, it can grow in abundance and offer endless supply of healthy benefits like love can give the heart nourishment when in full bloom. 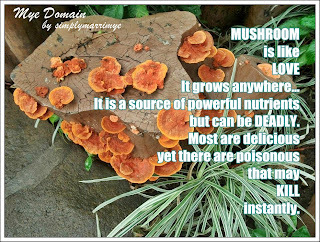 But there are types of mushroom that can harm like love that is obsessive and selfish. Sudden anger and heartbreak may cause a poisoned mind to commit ruthless acts. So, what's on your mind now? 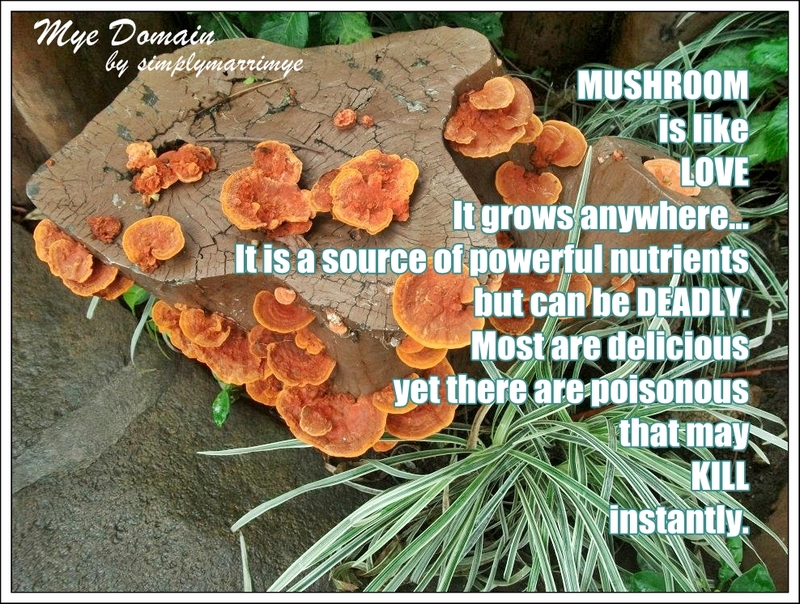 Can you think of any food other than mushroom to best define what love means to you? Such an interesting insight about love and mushroom and it just make a sensible comparison. Mushroom is sometimes dangerous just like with LOVE. Vice versa. I'm going with the traditional... Rose, it can be beautiful and yet can be with thorns. Great comparison between mushroom. They can be anywhere yet they can be lethal or healthy for the person. I am speechless with your definition but truly indeed right. I cannot think of anything more accurate than you do. Pretty interesting analogy. Yes, love can be like mushrooms. Although they grow everywhere, you still have to be careful which one to pick. Some will be the best thing you've ever tasted while others will poison you. Just like love. For me, I'd picture a wheel of Parmigiano Reggiano cheese. Just like love, it goes through a lot of pressing and requires time and daily nurturing. Looks like a lot of work, but in the end, you get this really great tasting wheel of cheese that just gets only better with age. Nice comparison between love and mushroom. I also agree with Franc, up there. Mushrooms have been used as food and for medicinal purposes. They are often classified as a vegetable or a herb,but not all mushroom are safe they have some poisonous mushroom. So true!. Love and mushroom, they connect! hehe. Halo Halo is how I'd describe love. It's how I feel about it. love are like peanuts.. lol! no reason rotfl! I love mushrooms!! Yom Yum Yam! For me, love is like an apple. It keeps the doctor away. hmm... food that can be comparable to love? maybe an apple.. like what they say an apple a day keeps the doctor away. just like love, if you give lovefreely and happily, it can make you healthy and stress-free! Interesting! I can't think of any how lame lol! nice insight! I honestly didnt think about this type of analogy until I read your post. I must say, I can agree with you. Love is sweet and lovely but can also be harmful as mushroom. A mushroom can be anywhere just like love. everything misused is dangerous. and it isn't love. Yahweh bless. this reminds me of our activity yesterday. we were pulling out weeds in the garden. the kids were asking why do i pluck out a plant with very nice yellow flowers. i stood dumbfounded for a few moments.